You are here: Email migration software for Outlook » Knowledge Base » How to transfer Outlook contacts to iPhone? 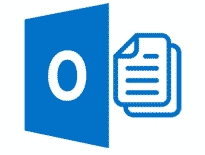 There are a few ways in which to transfer Microsoft Outlook contacts to iPhone and choosing one might depend on what works best on your devices, what is the most convenient option (e.g. considering the number of steps and their complexity). The good news (in terms of convenience) is that nowadays, many apps and operating systems use online clouds for storing personal data. This simplifies things greatly for the user, who might only need to adjust a few sets of preinstalled advanced sync tools that would, in turn, take care of the process in the background (file conversion and transfer). iTunes can sync various types of data – besides music, apps, photos, it can be also used to transfer contacts from Outlook to iPhone. To sync contact data, launch iTunes on your desktop (make sure it is up to date), find and click on the label for your device on the left panel, and in the settings tab that opens, click on “Info”. Tick the box to activate the “Sync contacts with” option and in the unfolding menu, select to sync with Microsoft Outlook. Confirm the change in a setting by clicking “Apply”. What would happen is that iTunes would pull contact data from the Outlook account and sync it with your device the next time it is being connected so it will import outlook contacts to iphone. The good news is that you only need to apply this setting once and as a result, a long-term solution to the problem would be reached. This solution could be useful in addressing potential problems with faulty synchronization (for whatever reason). The downside is that your contacts wouldn’t be transferred instantly, but only when the phone is synchronized with the computer (most people would likely not mind this). You may press Synchronize Now button in iTunes, this will force export outlook contacts to iphone. Another way to transfer Outlook contacts to iPhone is to use the default cloud storage integrated into iOS. To do this, open the iCloud app on a computer and tick the box in front of the “Mail, Contacts, Calendars, and Tasks” option – this syncs your mail account (needs to be Outlook) to your iCloud and hence, iPhone. As can be inferred from above, the downside of this approach is that you will sync everything else, including the calendar events, email messages, tasks, and notes. This could be a problem, for instance, if you would prefer not to merge this kind of information from different accounts. One way to achieve this is to choose to export from the desktop Outlook app in a CSV format. To do this, in the File rubric, choose the “Open & Export” submenu and here, pick “Import/Export“. The obtained file must be sent as an attachment to one of the email addresses connected to the iPhone and opened on the device – the system would normally recognize the file when accessing the attachment and would offer to “Add All Contacts“. The downside is that this might not work on all systems and that the process would have to be repeated each time new data would need to be transferred or moved. However this works for Outlook 2016 and modern versions of MS Outlook without additional download. Another suggestion on how to copy Outlook contacts file to iPhone that would carry along all the contacts is by using vCards. A vCard file (VCF) is a standardized format for storing contact information. To export VCFs from Outlook, one needs to enter the desktop Outlook app, go to People, Contacts, pick the contacts to be exported, and save as vCard files. If there is no such option available here is more convenient way to export Outlook contacts to VCF files. Next, from the iCloud website, in the settings, choose to import vCards and select the specific files to be imported – this will add the data to your iPhone after syncing with the cloud. 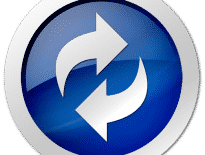 Similar to the previous method, this one would not ensure continuous syncing and would need to be repeated for new contacts, which could be messy (given that one needs to know each time which contacts have already been transferred and which ones have not). To conclude, this short guide suggests a few popular methods to migrate your contacts that any basic user can try. Most of these methods do have some limitations though and specifically designed software tools can help address some of these (they can offer greater control and flexibility over the conversion process, can conveniently integrate multiple conversion methods between various file types, can automate many steps, etc.). How to setup Gmail in Outlook? Knowledge Base	How to transfer Outlook files to a new computer?